Podhalańska (pronounced ‘Pud-hall-line-skah’), meaning “under the Polish mountain meadows,” is a family owned and operated company. Like our humble beginning, our products embody Polish tradition. The recipes for our Cytrynówka (pronounced ‘Cit-rin-oov-kah’; lemon-infused liqueur) and Kawówka (pronounced ‘Kah-vuff-kah’; coffee-infused liqueur) were passed down and perfected from generation to generation, allowing us to share our special family recipes with you and yours. Made with the finest grain spirits. Infused and bottled in Lemont, Illinois, USA. Available for purchase in locations in Illinois, Massachusetts, and Connecticut. Cytrynówka (pronounced ‘Cit-rin-oov-kah’) is a lemon-infused liqueur that originated in the small mountain villages of Poland and has since become a staple Polish liqueur. 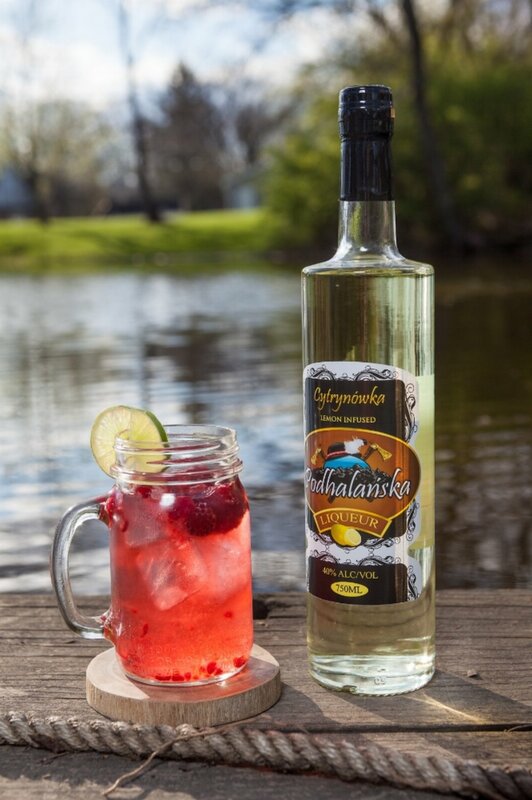 The recipe for Podhalańska Cytrynówka was passed down and perfected from generation to generation, embodying true Polish culture. 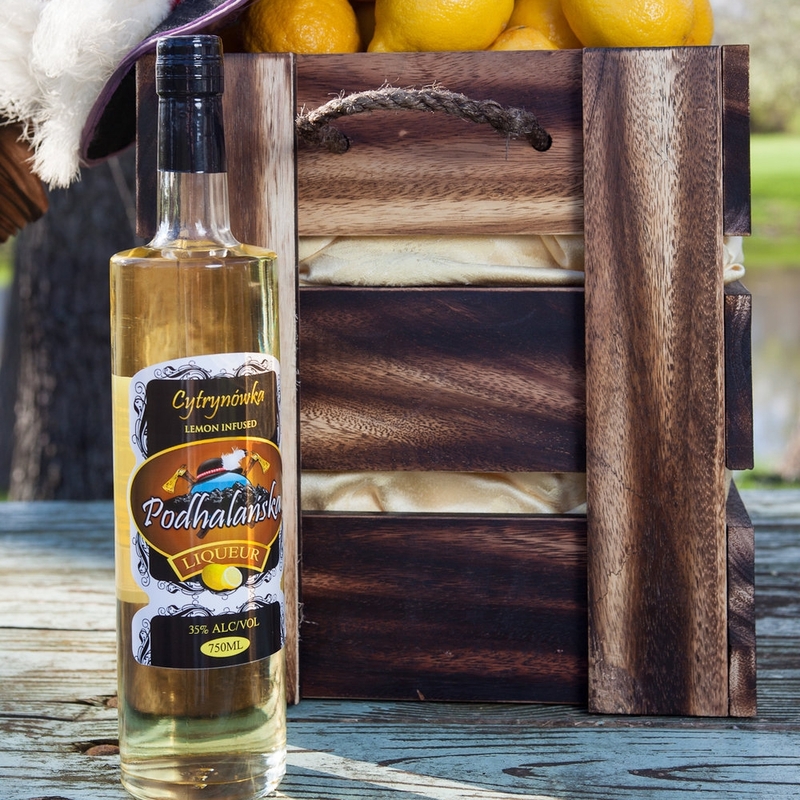 Our Cytrynówka is made from the finest grain spirits, which we infuse with the rich flavor of real lemons. 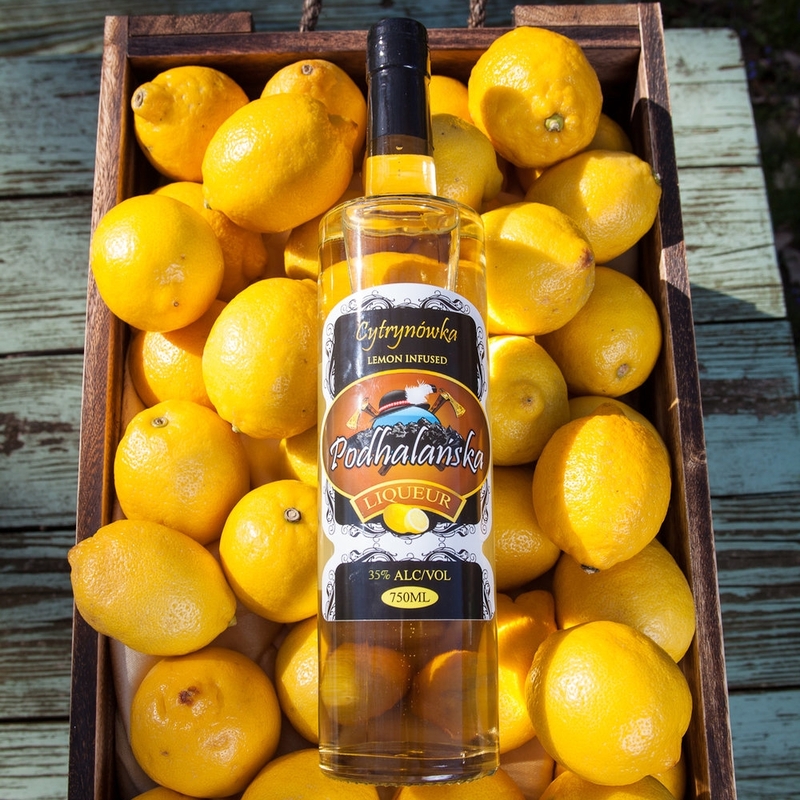 Each bottle of Podhalańska Cytrynówka (Lemon Liqueur) is meticulously handcrafted to perfection in small batches. Fresh, real lemons are delivered for each batch. Once the lemons are prepped, they are mixed with our special family recipe and left to infuse. During the infusion process, the fresh, natural flavors and juices from the lemons are extracted, along with the yellow color from the lemons. In other words, the rich lemon taste and natural yellow color that are characteristic of Podhalańska Cytrynówka are completely free of artificial flavoring and coloring. You cannot find a flavor this smooth anywhere else. Kawówka (pronounced ‘Kah-vuff-kah’) is a coffee-infused liqueur. The recipe for Podhalańska Kawówka was passed down and perfected from generation to generation. Our Kawówka is made from the finest grain spirits, which we infuse with the most delectable coffee beans and the rich flavor of pure vanilla. Each bottle of Podhalańska Kawówka (Vanilla Coffee Liqueur) is meticulously handcrafted to perfection in small batches. Fresh coffee beans and pure vanilla are delivered for each batch and prepped. After, they are mixed with our special family recipe and left to infuse. During the infusion process, the rich coffee flavor harmoniously marries with the taste of pure vanilla. In other words, the taste and color that are characteristic of Podhalańska Kawówka are completely free of artificial flavoring and coloring. 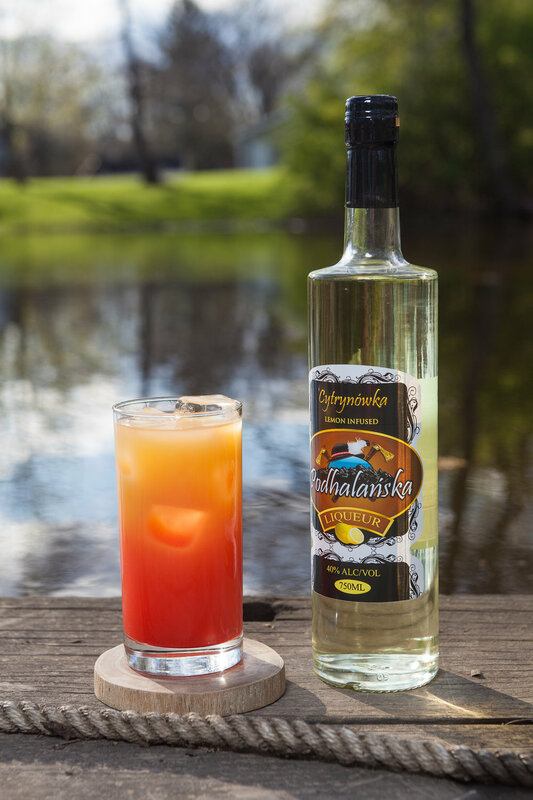 Are you having a difficult time finding a location near you where you can purchase Podhalańska Cytrynówka (lemon-infused liqueur) and Kawówka (coffee-infused liqueur)? Please let us know and we will work to bring our product to you. No matter the reason or season, let Podhalańska Cytrynówka (Lemon Liqueur) and Kawówka (Vanilla Coffee Liqueur) help turn your present moments into memories of a lifetime!